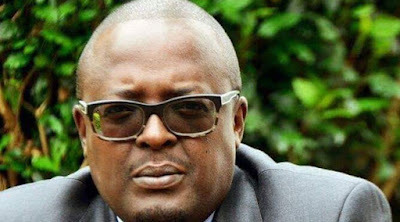 Mutinda Richard Kavemba a Nairobi Transport and Public Works Chief Officer dies in a Nairobi hospital - H.E Mike Sonko - Bana Kenya News, Real African Network Tubanane. Nairobi Governor Mike Sonko has mourned the death of his Transport and Public Works Chief Officer Mutinda Kavemba. He died yesterday abruptly after a day the doctor recommended to his Kavembas wife to take him home because of his improved condition. “It is with a heavy heart and humble acceptance of God’s will that I announce the passing on of Mr Richard Mutinda Kavemba who worked as my Chief Officer,” Mike Sonko said in a press statement. He had been admitted there and even asked for financial support to offset the bills. H.E Mike Sonko and Hon. Senator Johnstone Sakaja sends their condolences to the family for the death of their beloved one who will also be missed by the Nairobi county colleagues too.